This affordable, short-throw, 3,000-lumen projector can be mounted closer to the screen for fewer shadows when presenting. 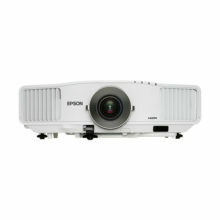 Breakthrough 3LCD technology delivers brilliant presentations with a wider range of resolution and brightness. With its short focus lens, these projectors are the ideal choice for great projection quality at amazingly short focal distances. 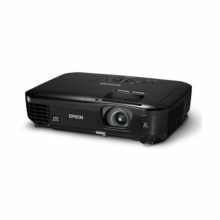 The Epson EB-420/430 use the newly developed ultra-large, high-precision lens, allowing you to project a 60-inch screen from proximity as short as 61cm. Their short focal distance provides more flexible placement options and maximises the use of space, effectively freeing up much of the surface for other uses – perfect for the classroom and small meeting venues. 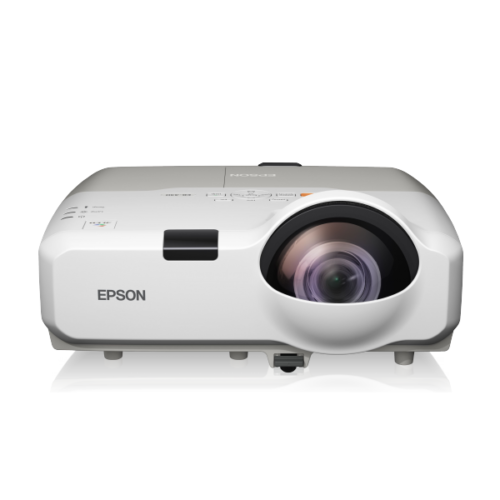 The projectors’ short focus lens allows you to move freely near the screen during presentations, with hardly any shadows cast on the screen. With less distraction and optimal visibility, your audience’s view of your presentation is clear and unobstructed. Even when you stand directly in front of the screen, projection light barely reaches your face. With reduced glare, you enjoy comfortable and hassle-free discussion and achieve that vital eye contact with your audience. The powerful built-in 16W speaker provides great audio quality that enhances your presentations. This projector series makes voices clearly audible even in large venues ideal for recording teaching materials. You can connect this project or series wirelessly to your LAN in addition to direct PC connection. Audio feed can be transmitted wirelessly to the projector. 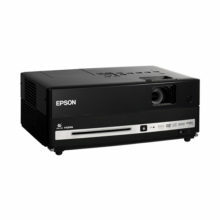 Compatible with devices including PCs, HDMI, LAN cables and microphones, this projector series is able to adapt to any setting. Now you can easily use a variety of discussion sources to enrich your presentations. Using the optional ELPIU03 Interactive Unit*, adding interactive functions is as simple as attaching the module to the top of this projector. This module also allows interactive control free from shadows and other interference. 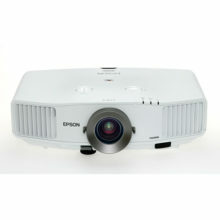 * ELPIU03 is an interactive module for Epson’s short-throw projectors. If the ELPMB27 wall mount is not used, it is necessary to use the ELPPT04 attachment plate. There are two ways of installing this projector: wall and ceiling mounting. Both methods ensure fast and easy set-up, giving you more time to prepare for your presentation. This projector series works on almost any surface, enabling you to maximise space. Now, you can turn the existing whiteboard and chalkboard or any wall in the room into an interactive learning area, eliminating the need for an interactive whiteboard. Add fun to your discussion, with Epson’s interactive pen. Working like a computer mouse, this pen turns any surface into an interactive whiteboard. It allows you to control your computer by simply touching the screen directly, and to manipulate the projection from any distance. Such flexibility offers you freedom to interact with both the projection screen and your audience from practically anywhere in the room.